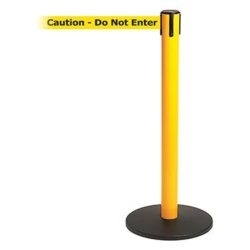 Steel construction combined with a slimline design make the Tensabarrier® Safety stanchion ideal for safety and security applications. 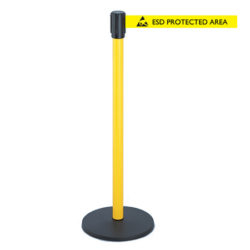 The Tensabrrier® SA4 Stowaway stanchion is compact and lightweight, which allows you set up a retractable barrier quickly and efficiently. 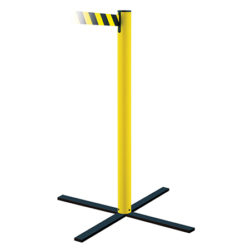 The Tensabrrier® SA-1 Stowaway stanchion is compact and lightweight, which allows you set up a retractable barrier quickly and efficiently. 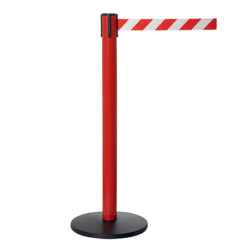 The Tensabarrier® 887 Utility stanchion offers an economical solution for providing retractable belt barriers in heavy traffic areas such as markets, warehouses or outdoors. 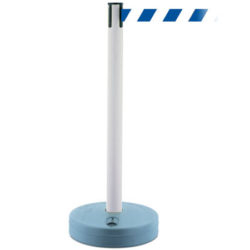 The Tensabarrier® 887 Utility stanchion offers an economical solution for providing retractable belt barriers in heavy traffic areas such as markets, warehouses ot outdoors.